Our life passions come from somewhere deep inside us, but often they are sparked by someone we love deeply, someone who took the time to share their own passions. For me the love of gardening came from my grannies and my own mother. My sweet memory of walking through my granny’s tiger lily patch is something I will never forget. The smell of the damp Oklahoma red dirt and the sight of those bright orange lilies speckled with black spots is just as vivid today in my mind as it was some 50 years ago when they were right before my eyes. Our abilities to do the things we love may diminish, but our passion for doing them never does. If your aging loved one once loved to garden, you can help them get their hands dirty and once again find joy in growing plants and flowers. All it takes is a few big pots, some seeds, and the desire to share memories of long ago. Start with just a few pots, some potting soil, and a few brightly colored plants. Pick a spot that is easily accessed by your loved one. A sunny porch or balcony will be somewhere they can go every day to enjoy their plants. 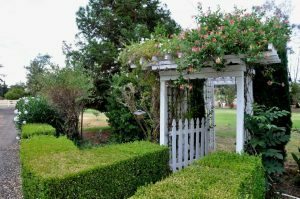 The idea is to share the experience of planting and hoping for beauty in their world while chatting about all the gardens they’ve experienced in their lifetime. Chances are you will hear some wonderful stories about how they came to love gardening and you’ll get the chance to thank them for igniting the passion of growing things into your life. What’s your first memory of gardening? What did your parents grow in their gardens? What’s your favorite flower and favorite veggie to grow? Did you have to help your parents or grandparents in their gardens? Where did you live when you started your own garden? Did you ever sit in the vegetable garden and eat tomatoes off the vine? Why do you love to garden? Even if your loved one has mild to moderate dementia, they will love to help you garden. Those memories they have of gardens long ago will still be fresh in their memory. Being able to share with you a passion they have and when it started will be therapeutic for you both. I have been so blessed to have awesome gardeners among my family members and dear friends. My mother, now 80, still can out-work and out-grow me when it comes to a garden. 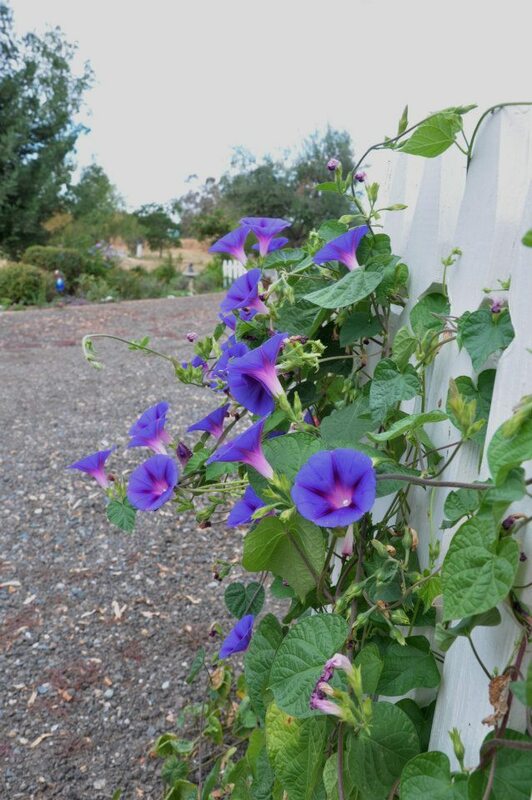 My daddy built her a white picket arbor many years ago and every year the bright blue Morning Glories twine around the pickets and up over the arbor. She has shared seeds with me and mine do tolerably well, but nothing like hers. I now have 10 grandchildren and every chance I get we go into the garden and get our hands dirty in the Sacramento Valley soil. They love pulling carrots from our soil and picking Granny Smith apples from my one and only apple tree. We pick blackberries together while we laugh and talk about picking days gone by. I hope they always remember our special times together just working in the garden and enjoying the wonderful food that comes from getting our hands dirty. The plants I love the most in my own garden came from someone I love. I have a butterfly bush my father brought over and we planted it together in the front flower bed. I also have a row of Texas privets that my mother gave me. They were just small stick-looking things not over eight inches high. Now they are over 25 feet high and offer shade in the hottest of weather to the west side of my home. If you have a favorite plant that grows abundantly in your own garden, share it with your special loved ones. It will be a gift that keeps on giving and keeps on sparking special memories for generations to come.